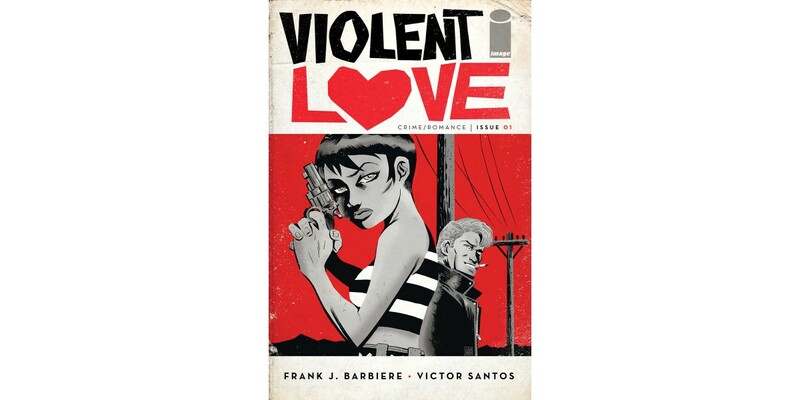 Image Comics is pleased to announce that the first issue of VIOLENT LOVE—written by Frank Barbiere (FIVE GHOSTS, The Revisionist) and illustrated by Victor Santos (MICE TEMPLAR, Polar)—is being rushed back to print in order to keep up with customer demand. In VIOLENT LOVE, readers meet Daisy Jane and Rock Bradley—two of the most notorious bank robbers in the American Southwest. And then they fell in love. VIOLENT LOVE #1 remains available for purchase across all digital platforms, including the Image Comics website (imagecomics.com), the official Image Comics iOS app, Comixology’s website (comixology.com), iOS, Android, and Google Play. VIOLENT LOVE #1, 2nd printing (Diamond code: SEP168902) and VIOLENT LOVE #2 Cover A (Diamond code: OCT160646) and cover B (Diamond code: OCT160647) will be available on Wednesday, December 7th. Final order cutoff deadline for retailers is Monday, November 14th.